I am delighted to be writing about the outstanding conclusion of the effort to straighten the Wiggins Pass channel. I am motivated to do so by the letter published April 26, by C. Louis Bassano. He reminded me that there are probably many other county residents who are unaware that the very things he recommended have already occurred. 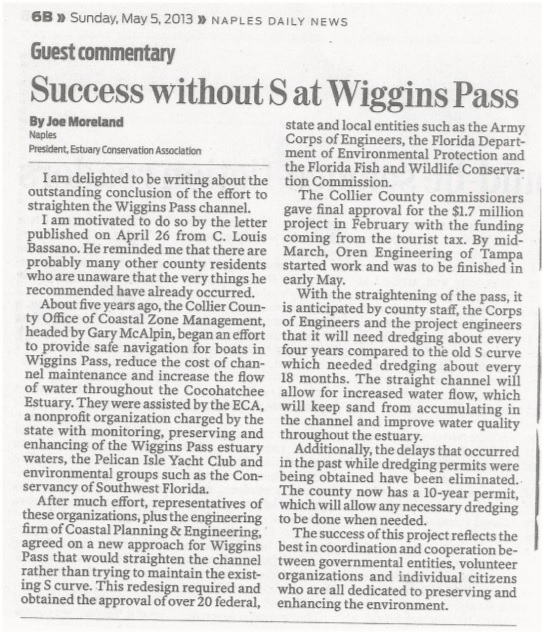 About five years ago, the Collier County Office of Coastal Zone Management, headed by Gary McAlpin, began an effort to provide safe navigation for boats in Wiggins Pass, reduce the cost of channel maintenance and increase the flow of water throughout the Cocohatchee Estuary. They were assisted by the ECA, a nonprofit organization charged by the state with monitoring, preserving and enhancing of the Wiggins Pass estuary waters, the Pelican Isle Yacht Club and environmental groups such as the Conservancy of Southwest Florida. 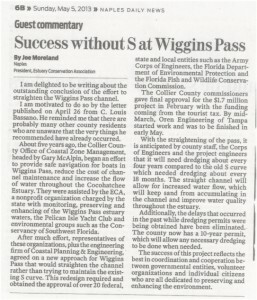 After much effort, representatives of these organizations plus the engineering firm of Coastal Planning & Engineering agreed on a new approach for Wiggins Pass that would straighten the channel rather than trying to maintain the existing “S” curve. 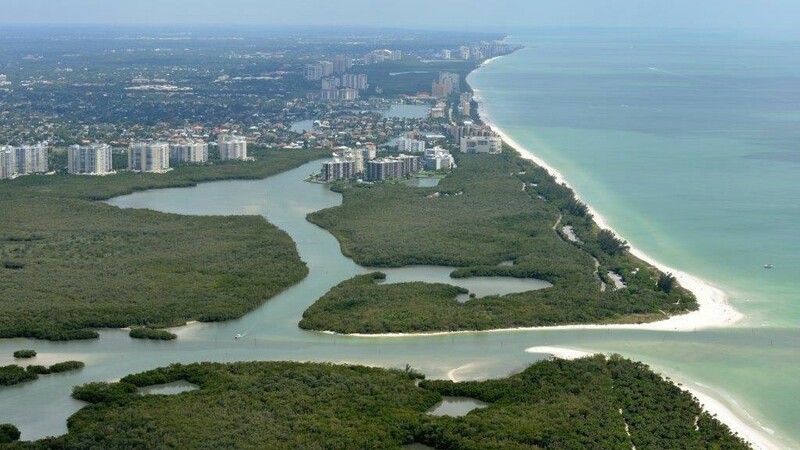 This redesign required and obtained the approval of over 20 federal, state and local entities such as the Army Corps of Engineers, Florida Department of Environmental Protection and Florida Fish and Wildlife. The Collier County commissioners gave final approval for the $1.7 million project in February with the funding coming from the tourist tax. By mid-March, Oren Engineering of Tampa started work and was to be finished in early May. With the straightening of the pass, it is anticipated by county staff, the Corps of Engineers and the project engineers that it will need dredging about every four years compared to the old “S” curve which needed dredging about every 18 months. The straight channel will allow for increased water flow which will keep sand from accumulating in the channel and improve water quality throughout the estuary. Additionally, the delays that occurred in the past while dredging permits were being obtained have been eliminated. The County now has a 10 year permit which will allow any necessary dredging to be done when needed. The success of this project reflects the best in coordination and cooperation between governmental entities, volunteer organizations and individual citizens who are all dedicated to preserving and enhancing the environment.